Simply type your ski pass number in and see how far you have skied during your day on the slopes. Alone, with friends or family – individual, intensive learning, achieves quicker results. As your ski instructor / ski guide I'll gladly accompany you around the Kitzbüheler Alpen. Your safety is of paramount importance !!! I'm gladly available for you. My name is Klaus Hain and I grew up in the beautiful village of Westendorf. I am a diplom. staatlich ski instructor and skiführer ski/guide. 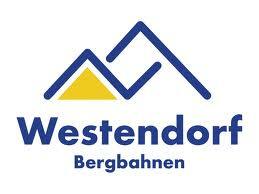 After many enjoyable years as a ski instructor in in Westendorf have decided to open my own private-snow sport school. I'll teach you how to optimize your skiing technique, and in only a short time you will see results whether you're a beginner, intermediate, big or small. Liftkarten sind in den Preisen nicht inkludiert. Für Unfälle beim Unterricht wird nicht gehaftet. Rückvergütung bei nicht konsumierten Stunden bzw. Kurstagen nur gegen ärztliches Attest.